Find the right filter media at the right price here at Aquarium Parts. From Bioballs to Ceramic Noodles, we've got all the genuine Aqua One filter media you'll need. 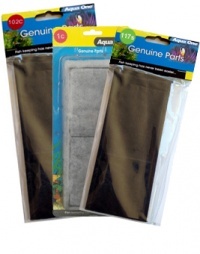 The full range of Aqua One filter media is in stock and ready to be shipped, including brand new hard to get hold of products such as Ceramisub and BioNood.